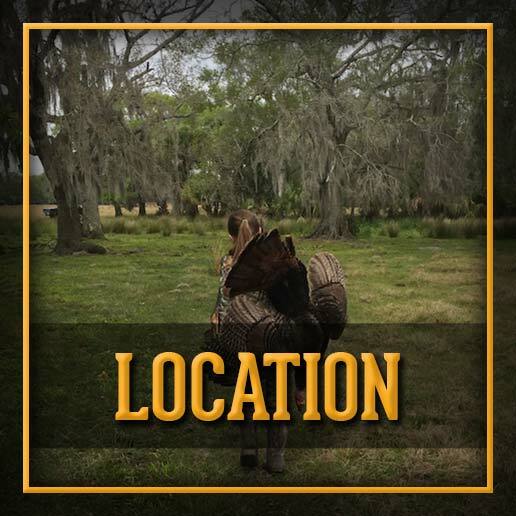 Where you can hunt year round on 1000 acres for wild boar. 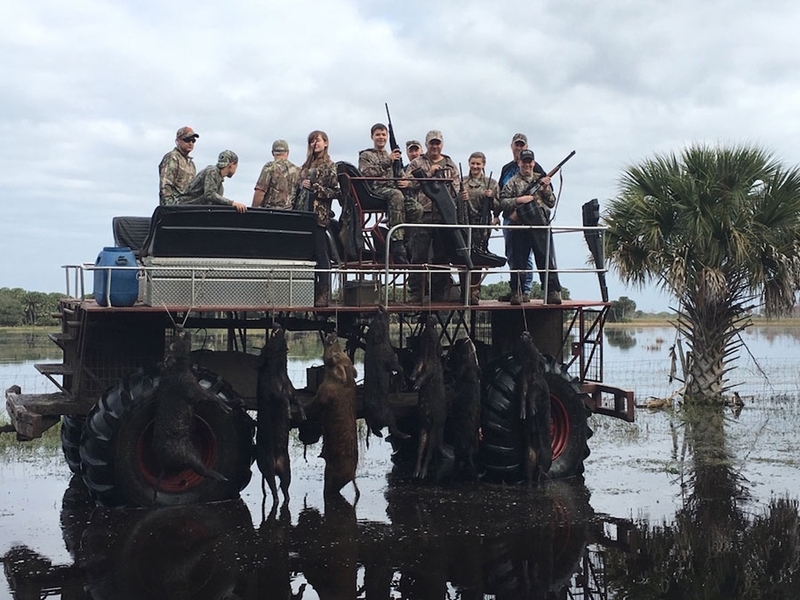 There are swamp buggy hunts, stand/still hunts and stalking opportunities. Archery hunting or Gun hunting both are welcome. Hunts range from 1/2 day to full day or longer. Lodging and meals are available. Half day and full day fishing trips are now available to incorporate into your hunt. Processing of game and taxidermy are available. 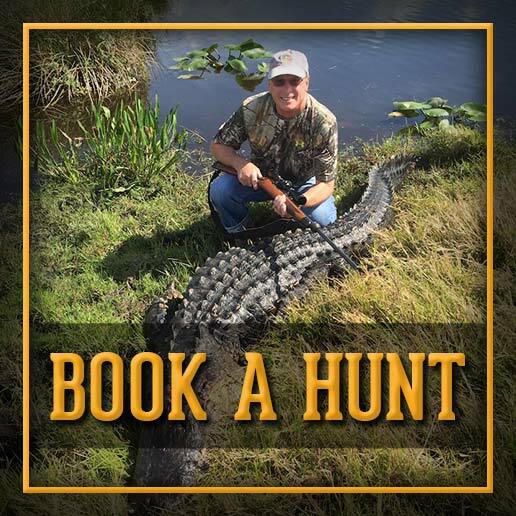 We specialize in catering to children/family hunts. 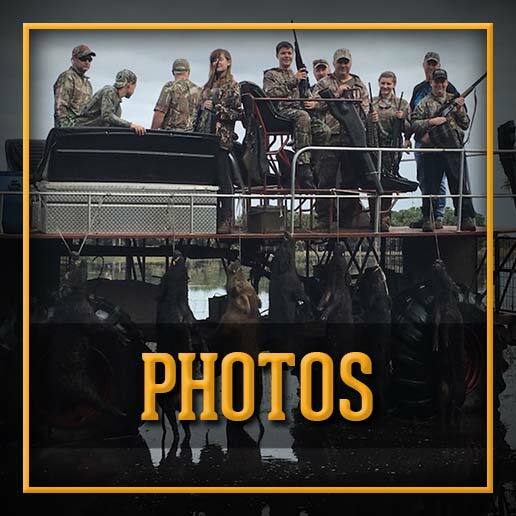 Bring your kids out for their first hunt where you can be sure of success! There are several guns here for kids or anyone to use free of charge. Let us help you get your kids away from video games and take your kid hunting! There are double stands so parents and kids can hunt together. Don't forget women love to get outdoors too. If you have any questions or special needs, contact us and we will do our best to accommodate you. We offer lodging for groups or families/individuals. There is a large bunk house/trailer with 2 bed / 1 1/2 baths that sleeps up to 8. Also a private cabin with bath/shower, queen bed and pull out bed. Cabin sleeps 2 adults or family up to 4. Outdoor cooking area with grills and fire pit. Also a small pond for fishing in between hunting activities.